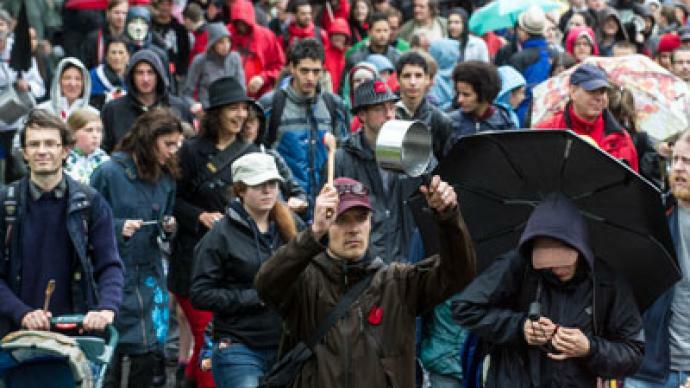 Thousands of Canadians marched in Montreal despite rainy weather. 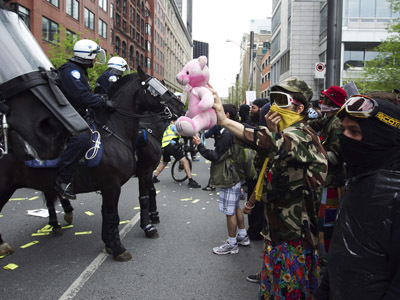 The peaceful protest against tuition hikes kicked off in the province of Quebec after talks between students and the local government failed. ­Up to 7,000 students, their parents and supporters were marching by mid-afternoon on Saturday according to CLASSE – the largest and most militant of the student groups behind the protests. Some wore costumes and played music. "It's to continue to rally and show that we are still motivated even if summer is on its way," AFP quoted CLASSE spokesperson Gabriel Nadeau-Dubois as saying. A strong police presence, including dozens of vehicles, was a characteristic of Saturday’s protest. 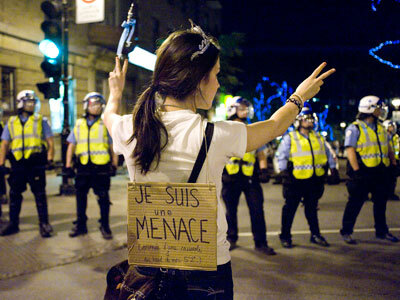 The conflict escalated after the government passed an emergency anti-protest law on May 18. 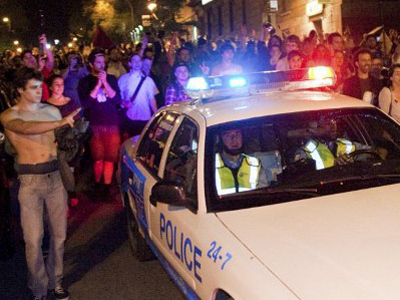 Shortly after, some 700 people were arrested in Montreal and Quebec City in a single night on May 23. 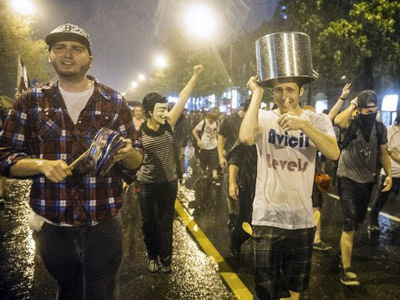 The controversial law introduces enormous fines of between $24,000 (US $23,058) and $122,000 (US $117,212) for organizations that fail to prevent their members from protesting. Individuals found guilty of organizing a protest now face a fine of some $34,000 (US $32,666). This week, the two sides met for negotiations in an effort to find a solution to the $1,778 (US $1,708) tuition dispute and end the 16-week stand-off between the province and student associations. However, both sides left the negotiation table with no progress made. Students were offered a $35 discount on tuition hikes per year, bringing the total increase to $1,533 (US $1,473) over seven years, but the government’s suggestion was rejected. "I just paid off a $15,000 (US $14,400) student loan," one of the protesters, 46-year-old Isabelle Farfeuille, was quoted by AFP. "I am here for my children, so that they don't have to owe as much. I am ready to protest every single day, every night, until the talks lead to an agreement." 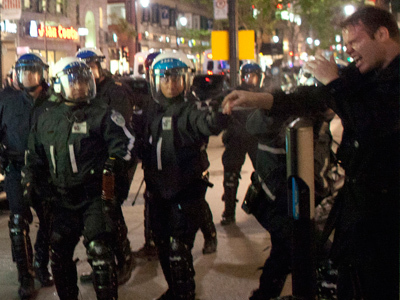 Montreal police called the Saturday protest "illegal," because it had not received the route. However, it said in Twitter that, "People can march if no crime is committed." The emergency law obliges organizers of demonstrations to notify police at least eight hours beforehand, providing times and locations of protest marches. This week's discussions between Quebec Education Minister Michelle Courchesne and student organizations were regarded as the last chance to settle the issue before summer, when major tourist draws, such as the Montreal Grand Prix, take place. However, the negotiations failed, the Saturday talks were called off, and no other meetings have been set.